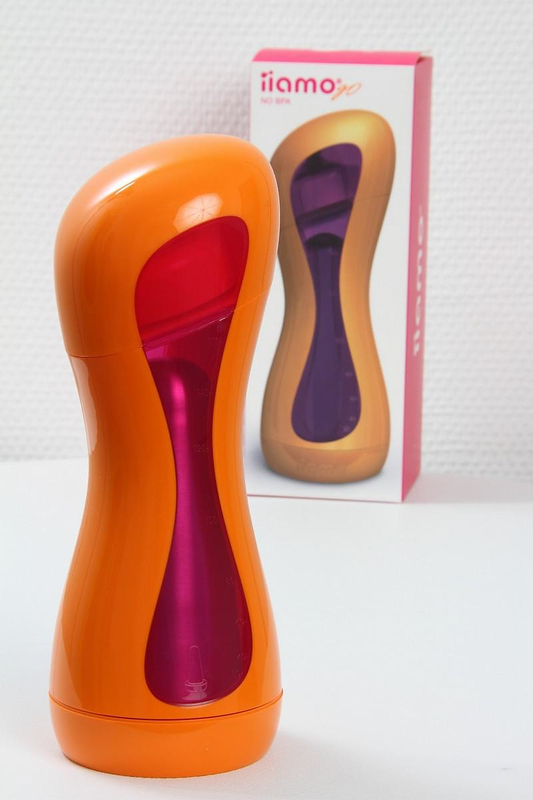 HomeBlogVariousiiamo Go self-warming baby feeding bottle by Karim Rashid. 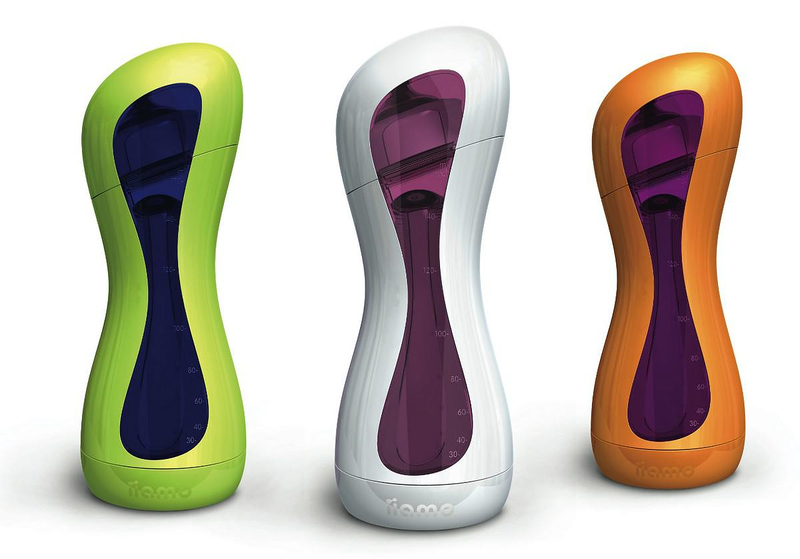 iiamo Go is a unique self-warming baby feeding bottle designed by world renowned designer Karim Rashid. iiamo go is the first baby feeding bottle that warms milk up to the recommended 37°C (body temperature) in about 4 minutes, without the use of electricity. This is the defining innovative characteristic of iiamo Go, no more cords and limitations for parents on the go! They are now able to properly feed their baby with nice warm milk, anywhere, anytime! 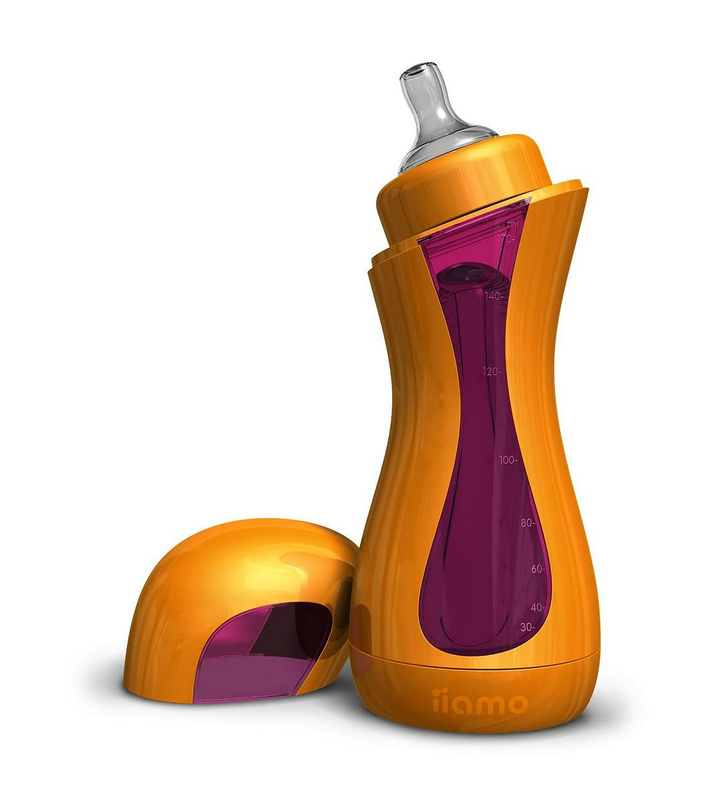 iiamo Go heats the milk using a disposable capsule containing water and salt. Heat is generated as the salt becomes re-hydrated. This patented heating technology is integrated into the bottle itself. The process is very simple. Pour the milk of your choice (mother’s milk, formula or milk powder) in the bottle, insert the cartridge in the bottom of the bottle and then just push to activate it, after a few minutes you can serve nice warm milk to your baby. 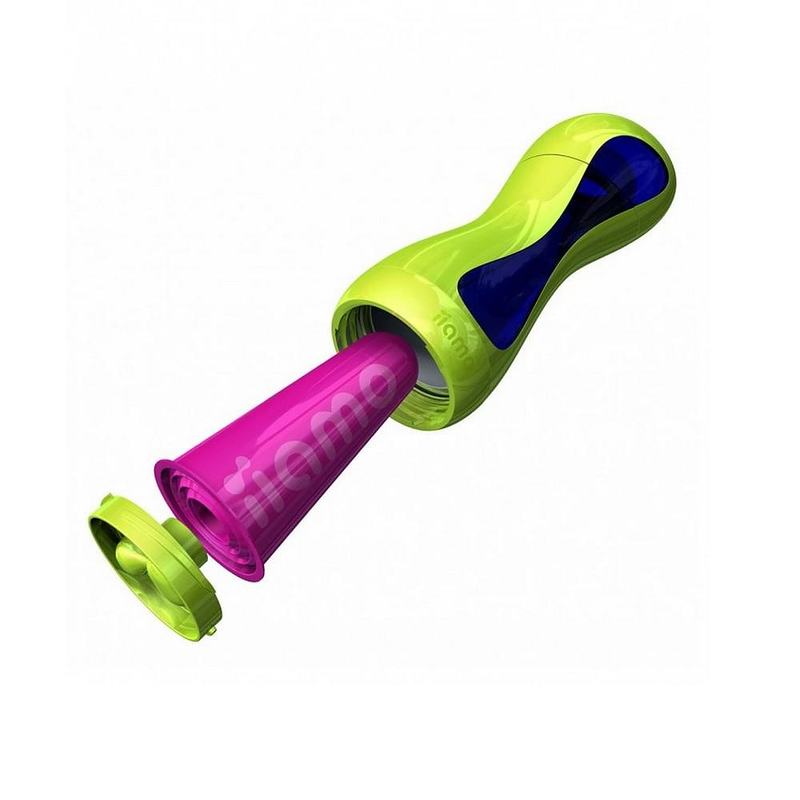 iiamo Go can be disassembled completely making it very easy to clean. This reduces the risk of leftover or bacteria from the previous feast (hand wash and sterilization by boiling are recommended by the manufacturer). Moreover the modular design also offers other advantages. 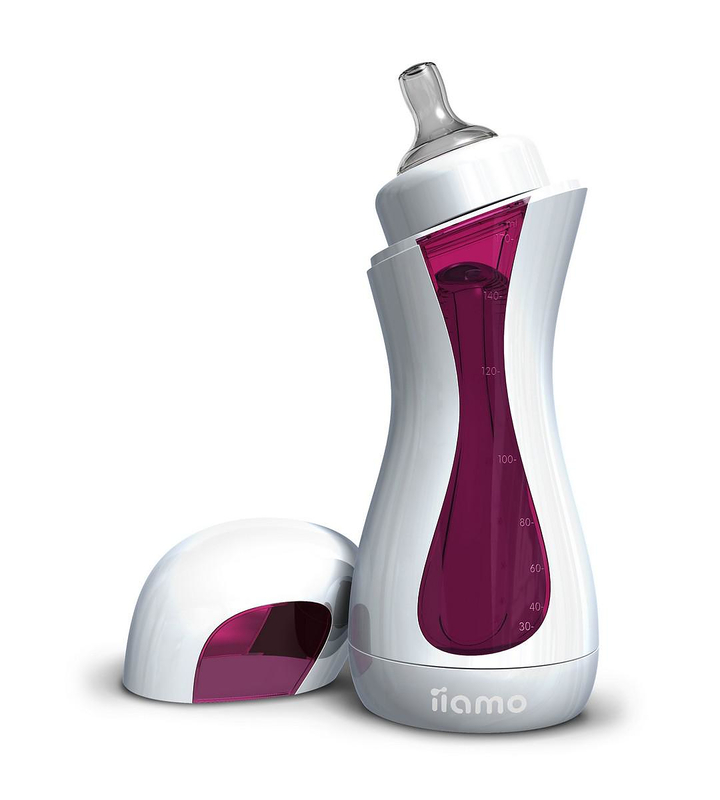 If you want to use the iiamo Go as a conventional baby feeding bottle, or if you want to used it with a microwave, you can swap the stainless steel bottom with the optional add-on kit, the “iiamo more”. 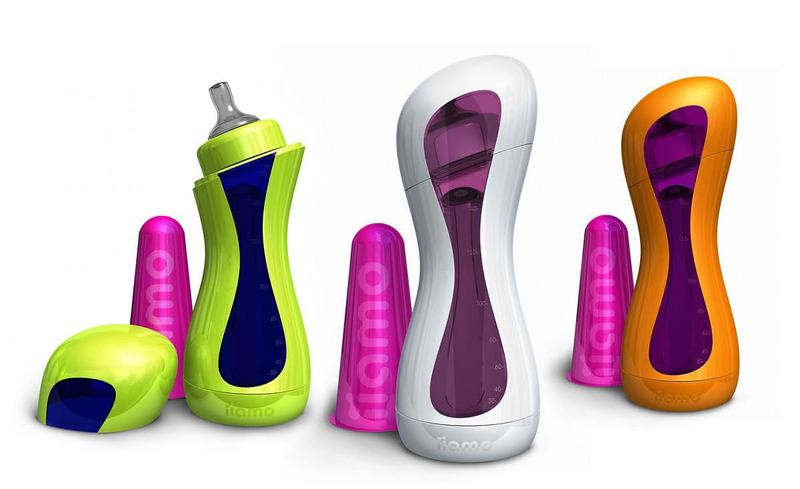 With this kit the iiamo Go becomes a flat bottom plastic baby bottle for easy and comfortable use when at home offering and gains increased 380 ml capacity. According to Karim Rashid “Feeding a baby is a warm, intimate moment between parent and child. The bottle enables that human connection. Though a very functional product, a baby bottle doesn’t need to be a strictly functional. Emotional and aesthetic appeal must be considered too. Children love reflective shiny colorful surfaces and materials – I do too – maybe I am still a child. So it was time to make a baby bottle a wild interesting sculptural colorful animated object so the baby actually gets excited about being fed.” iiamo is more than a unique baby bottle for use anywhere, anytime and for life. 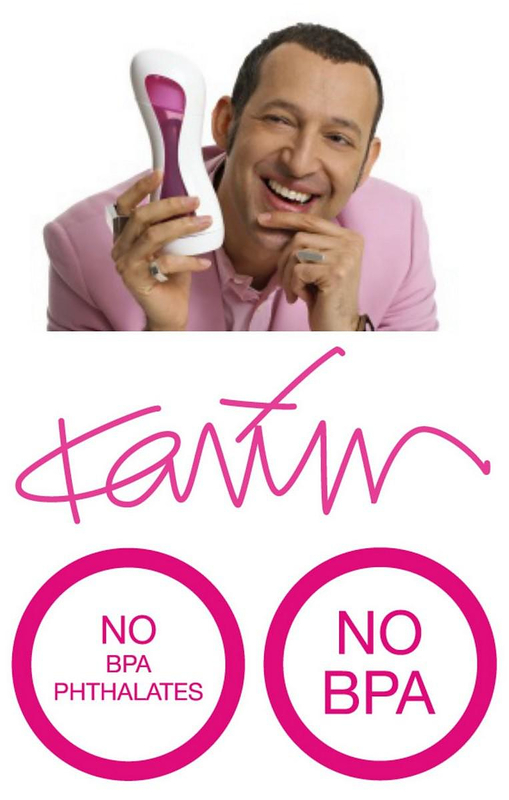 It is also an expanding range of baby care products with a high content of functionality, convenience and design exclusively created by Karim Rashid. iiamo’s first product extensions, iiamo peace and iiamo string, were launched in 2012.